The insolvent German chemist chain underlines that ist Austrian subsidiary is „definitively not affected“ by the insolvency proceedings. “Austria is our best market.”, Lars Schlecker, the son of the founder Anton Schlecker, announced. 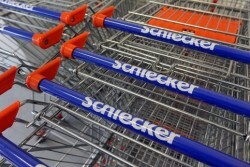 Schlecker emphasized the successful operations in Austria: “Austria is and remains independent and successful.” Lars Schlecker added. The Austrian subsidiary would not be concerned by the insolvency in Germany.